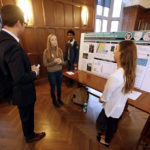 Posted by Jay Watson on Thursday, September 27, 2018 in Admissions Life, General Information, Vanderbilt Blogs. 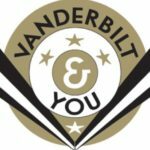 I’m Erin Springstead—one of the new admissions counselors in Vanderbilt University’s Office of Undergraduate Admissions! 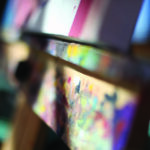 I currently work with students from the state of North Carolina and Long Island, New York. I am also on the ‘Dore for a Day, Black and Gold Days, and PreVU teams. I’m originally from Bishop, Georgia—a tiny town outside of Athens. I received my bachelor’s degree from the University of Georgia where I studied elementary education. I truly am a teacher at heart and am excited to share the college application process with you! 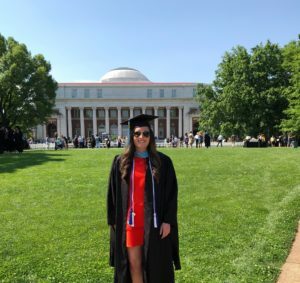 After completing my undergraduate degree, I moved to Nashville to pursue my masters in school counseling in the Human Development Counseling program at Vanderbilt’s Peabody College. In this program, I was lucky enough to work with high school students in the Nashville area. This work reinforced my love of working with students in the college process. Getting to see both the high school counseling side and the admissions side of the college process has helped to inform my understanding and grow as a professional. Because of my background, one of my favorite parts of the job is meeting students while I’m on the road and helping to answer questions! 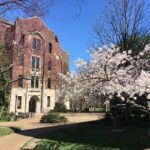 While in graduate school I fell in love with Vanderbilt’s mission, commitment to teaching and learning, and the amazing opportunities it provides to students. I decided I had to be a part of it! My position at OUA gives me the chance to interact with students every day and help them find ways to show and study what they are passionate about. What job could be better than that? I had no idea when I showed up for my first visit to Vanderbilt the doors and “dores” that would open to me! I feel so lucky to be a part of a community that is vibrantly intellectual, deeply collaborative, and incredibly fun! 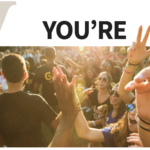 Consider me your open ‘dore for this admissions season–I’m excited to hear from you! 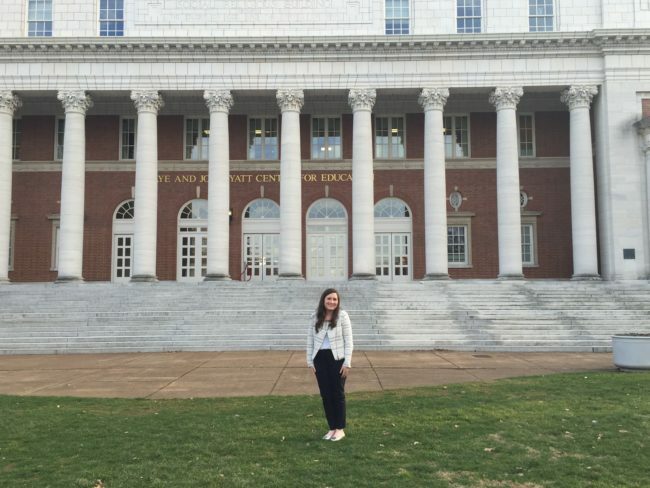 My very first day at Vanderbilt as a student! Can you guess where this was taken?